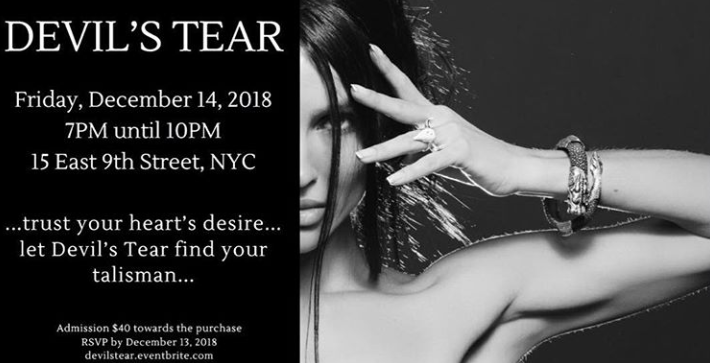 Devil's Tear Launches Online Jewelry Brand and Announces NYC Launch Event of Limited-Edition Collection. New luxury jewelry line provides both men and women a talisman to embody their hopes, successes, and strengths. NEW YORK, November 9, 2018	(Newswire.com) - In a debut reveling in ecological inspiration, ethically sourced materials, and a passion for social responsibility, Devil’s Tear announced the launch of an on-line shop featuring four luxury jewelry collections. The company will also host a New York City Launch Party featuring many of the pieces from their line that can be purchased during the event. The seductive designs were inspired by the world-wide journey of both of the company’s founders who had to develop new skills to further their careers especially after facing the challenges women in the workplace may often face of being undervalued, unsupported and without mentorship. One of the founders, Nataly Glushko who oversees design and creation began the line with a focus on creating a bejeweled accessory that would help women channel their passions and fuel their desire to succeed. This highly collectible jewelry line will have pieces that range from $349 to $1499 and features precious, semi-precious stones and metals. 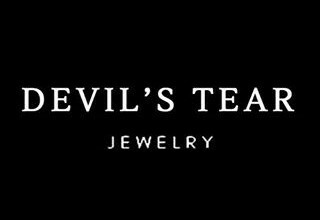 Devil’s Tear will donate 10% of their launch sales to the anti-human trafficking non-profit organization, Life Preservers Project. The company will hold their launch event on Friday, December 14, 2018 in New York City. For those who purchase a ticket to the event, the $40 ticket price will be discounted off any purchase during the event. Purchase a ticket to the event at https://bit.ly/2yZx1Vo. 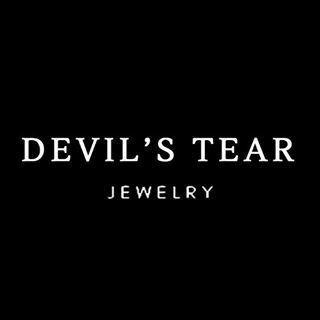 Devil’s Tear was founded in 2018 and is a new, luxury jewelry company known for captivating designs handcrafted and spiritually purified in Bali giving its wearer a talisman, a good luck object that can be worn from the office to after hours, showing understated elegance for its male and female wearers. Devil’s Tear was founded by Natalie Solak and Nataly Glushko to provide a luxury jewelry piece that could be used as a sacred token to encourage and celebrate every part of the life journey. Learn more at www.devilstear.co or follow us on Instagram. Devil's Tear launch event features luxury jewelry for both men and women from various new collections.